Asset allocation: How does an investment property fit? In an earlier Super Advisor article (Asset allocation gets personal) we said that self-directed investors have the advantage of coming up with a 'personalised' asset allocation. But they can also end up with a lack of diversification. A typical example is self-directed investors with an investment property. If you've got a $10 million dollar portfolio then you can probably afford to buy a property or two without being too exposed to them. But most don't have that luxury. A more likely scenario is a single, leveraged investment property and a super or share portfolio smaller than the property value. Imagine you've got a $700,000 property (financed by a $400,000 loan) and $300,000 in super. Your total wealth is $600,000 but you've got $700,000 of exposure to a single property. Fortunately, property is a bit different to shares in companies. Companies are often leveraged (sometimes, dangerously so) and their businesses can be exposed to a small number of factors that can kill their share price. Sometimes, they go bankrupt. Properties can't go bankrupt, and the value is unlikely to fall to zero or near-zero, unless we change our land tax or council rates regimes. But a 117% allocation to property is a lot and what happens with the property will be the key driver of overall returns. If the super portfolio faces the same risk factors, everything may swing up and down together. There's no right answer to this question but amongst our members I'm sure we have plenty of ideas. I'll get things started. One possible answer is to simply ignore the property and build a super portfolio just as you would without it. That might mean owning lots of banks and resources shares, which is in some ways doubling up on risk. A collapse in the resources industry is a possible source of Australian property troubles and, if property prices fall dramatically, bank earnings are likely to suffer. I don't really like this approach but it probably depends on your financial situation, the type of property and your plans for it. If you've got the capacity to save more, or spend less, if disaster strikes then it's less of an issue. Lower value properties located in proven suburbs with good infrastructure are less of a worry than premium or holiday properties, or less proven suburbs and developments. Finally, you may have other uses for the property - for instance, the kids going to uni or plans to move in on retirement - which makes it as much a spending or lifestyle decision as an investment. An approach which 'hedges your bets' a little might be to ignore the property when deciding on your super's asset allocation, but minimise your investments in banks, property developers and other companies heavily exposed to residential property. Personally, I'd let it influence my asset allocation, at least a little. My main focus would be on investing internationally, since the factors likely to accompany a poor property market (for instance, rising unemployment) are likely to be impacting on many Australian business. Plus, we're unlikely to see less employment and continued strength in the Australian dollar. A falling AUD (which would boost the value of international investments) could help repair some of the damage done by a flat, or falling, property price. I'd also focus carefully on what I included in my property and infrastructure allocation, sticking with global infrastructure and shares (like BWP and ALE) that aren't directly exposed to residential property. Of course, it's all a question of timing, prices and value. A fall in property prices could cause, or accompany, serious economic problems which see a quick, nasty drop in the Australian share market (and AUD). 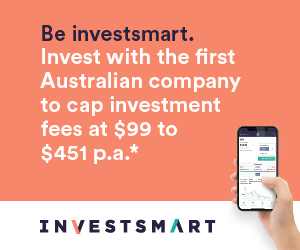 At that point it might make sense to sell off the international investments (or a portion of them) and load up on cheap Australian shares, even with the investment property still in the portfolio. My final comment, before handing over for suggestions, is on the leverage. If the intention is to pay down the debt quickly then that alone will reduce this portfolio's exposure to the investment property. With the debt paid off, the investment property would be 70% of the overall asset allocation, not 117%. It's still high, but if it's a lower risk property (capital city, near infrastructure, non-premium) and contributions continue to be made to the super fund, then it will become less and less of a concern each year.